This beautiful bouquet includes a selection of La Belle, Nairobi Belle Roses and Gypsophila from the Insinya Region in Africa. The blooms grown by these farms support the local villages by providing food, education, and healthcare which is why this bouquet is extra special. 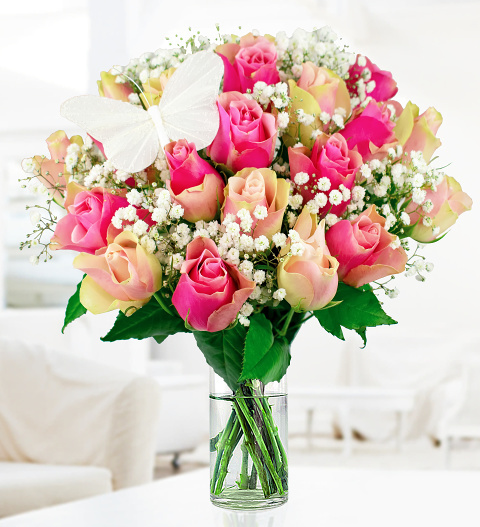 This bouquet would be an excellent gift for birthdays, anniversaries, congratulations and all other occasions. Chocolates may contain nuts. Chocolates may contain nuts.